Who should not take AMLODIPINE BESYLATE-BENAZEPRIL? What conditions does AMLODIPINE BESYLATE-BENAZEPRIL treat? Tell your doctor right away if any of these serious side effects occur: fainting, fast/irregular/pounding heartbeat, symptoms of a high potassium blood level (such as muscle weakness, slow/irregular heartbeat), signs of kidney problems (such as change in the amount of urine). This product may rarely cause serious (possibly fatal) liver disease. Get medical help right away if you have any symptoms of liver damage, including: nausea/vomiting that doesn't stop, loss of appetite, stomach/abdominal pain, yellowing eyes/skin, dark urine. List AMLODIPINE BESYLATE-BENAZEPRIL side effects by likelihood and severity. 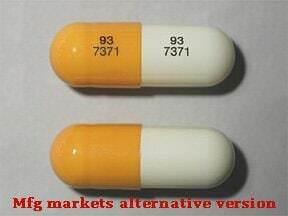 Before using this medication, tell your doctor or pharmacist your medical history, especially of: history of an allergic reaction which included swelling of the face/lips/tongue/throat (angioedema), blood filtering procedures (such as LDL apheresis, dialysis), liver disease, a certain structural heart problem (aortic stenosis). What should I know regarding pregnancy, nursing and administering AMLODIPINE BESYLATE-BENAZEPRIL to children or the elderly? 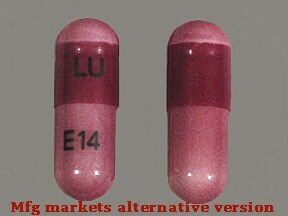 Some products that may interact with this drug include: aliskiren, certain drugs that weaken the immune system/increase the risk of infection (such as everolimus, sirolimus), lithium, drugs that may increase the level of potassium in the blood (such as ARBs including losartan/valsartan, birth control pills containing drospirenone), gold injections, sacubitril. Does AMLODIPINE BESYLATE-BENAZEPRIL interact with other medications? Do not flush medications down the toilet or pour them into a drain unless instructed to do so. Properly discard this product when it is expired or no longer needed. Consult your pharmacist or local waste disposal company for more details.Information last revised July 2016. Copyright(c) 2016 First Databank, Inc. 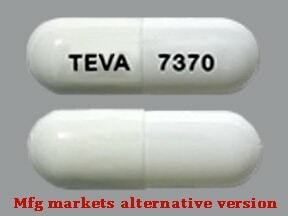 This medicine is a white, oblong, capsule imprinted with "TEVA" and "7370". 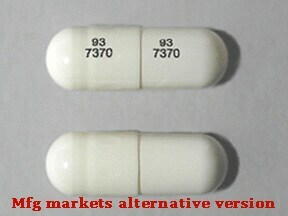 This medicine is a white, oblong, capsule imprinted with "93 7370" and "93 7370". 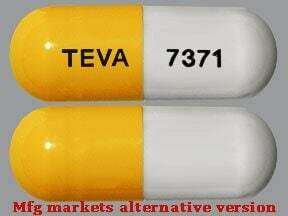 This medicine is a orange white, oblong, capsule imprinted with "TEVA" and "7371". This medicine is a orange white, oblong, capsule imprinted with "93 7371" and "93 7371". 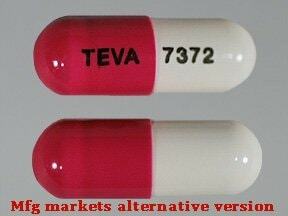 This medicine is a pink white, oblong, capsule imprinted with "TEVA" and "7372". 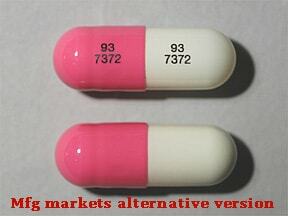 This medicine is a pink white, oblong, capsule imprinted with "93 7372" and "93 7372". 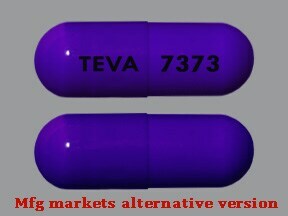 This medicine is a blue violet, oblong, capsule imprinted with "TEVA" and "7373". 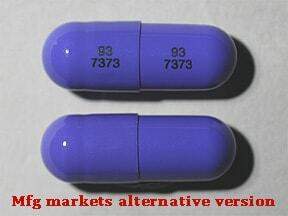 This medicine is a blue violet, oblong, capsule imprinted with "93 7373" and "93 7373". 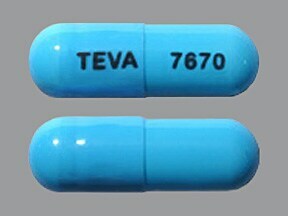 This medicine is a light turquoise, oblong, capsule imprinted with "TEVA" and "7670". 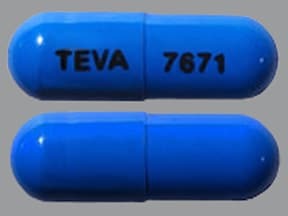 This medicine is a light blue, oblong, capsule imprinted with "TEVA" and "7671". 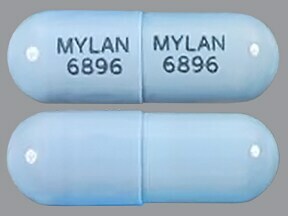 This medicine is a blue, oblong, capsule imprinted with "MYLAN 6896" and "MYLAN 6896". 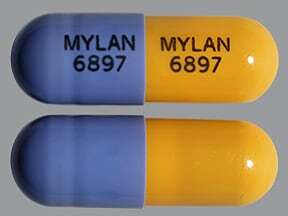 This medicine is a peach lavender, oblong, capsule imprinted with "MYLAN 6897" and "MYLAN 6897". 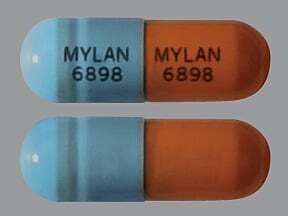 This medicine is a peach blue, oblong, capsule imprinted with "MYLAN 6898" and "MYLAN 6898". 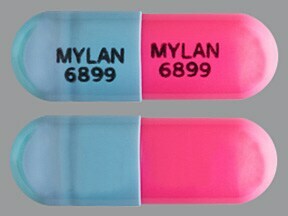 This medicine is a light pink blue, oblong, capsule imprinted with "MYLAN 6899" and "MYLAN 6899". This medicine is a white, oblong, capsule imprinted with "logo and SANDOZ 571". 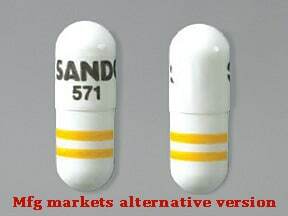 This medicine is a white, oblong, capsule imprinted with "SANDOZ 571". 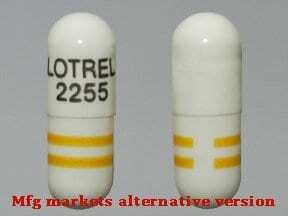 This medicine is a white, oblong, capsule imprinted with "LOTREL 2255". This medicine is a light brown, oblong, capsule imprinted with "logo and SANDOZ 572". 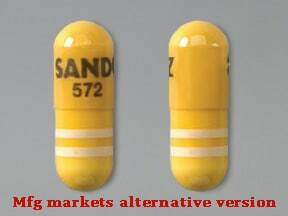 This medicine is a light brown, oblong, capsule imprinted with "SANDOZ 572". 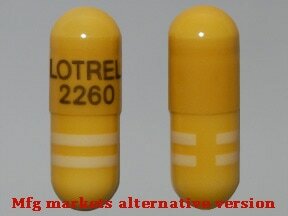 This medicine is a light brown, oblong, capsule imprinted with "LOTREL 2260". 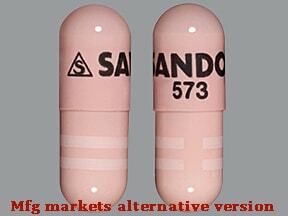 This medicine is a pink, oblong, capsule imprinted with "logo and SANDOZ 573". 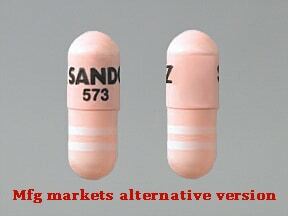 This medicine is a pink, oblong, capsule imprinted with "SANDOZ 573". 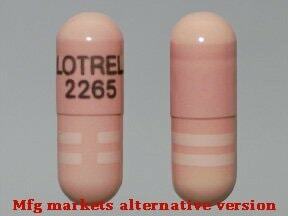 This medicine is a pink, oblong, capsule imprinted with "LOTREL 2265". 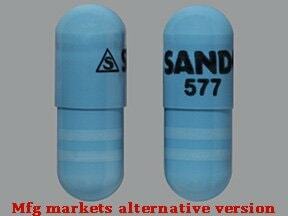 This medicine is a light blue, oblong, capsule imprinted with "logo and SANDOZ 577". 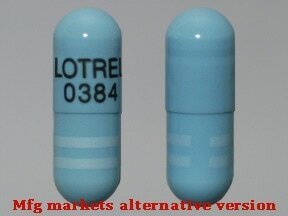 This medicine is a light blue, oblong, capsule imprinted with "LOTREL 0384". 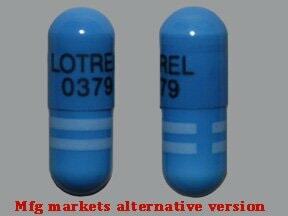 This medicine is a dark blue, oblong, capsule imprinted with "LOTREL 0379". 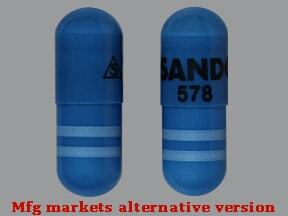 This medicine is a dark blue, oblong, capsule imprinted with "logo and SANDOZ 578". This medicine is a white, oblong, capsule imprinted with "logo and AB" and "1". 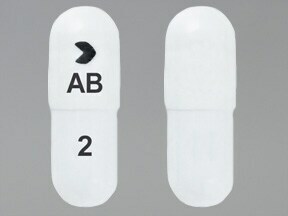 This medicine is a white, oblong, capsule imprinted with "logo AB" and "2". 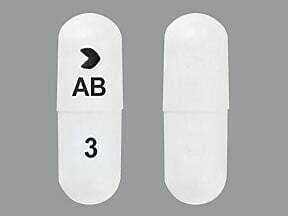 This medicine is a white, oblong, capsule imprinted with "logo and AB" and "3". This medicine is a white, oblong, capsule imprinted with "logo and AB" and "4". 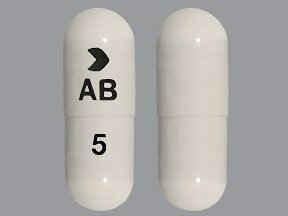 This medicine is a white, oblong, capsule imprinted with "logo and AB" and "5". 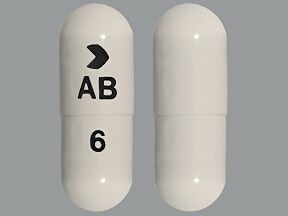 This medicine is a white, oblong, capsule imprinted with "logo and AB" and "6". 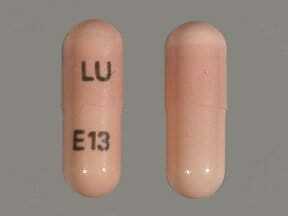 This medicine is a peach, oblong, capsule imprinted with "LU" and "E13". 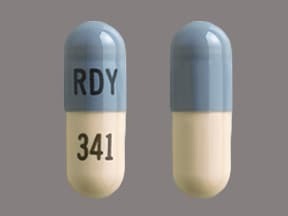 This medicine is a ivory light gray, oblong, capsule imprinted with "RDY" and "341". 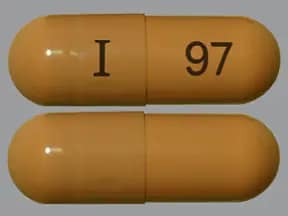 This medicine is a light brown, oblong, capsule imprinted with "I" and "97". 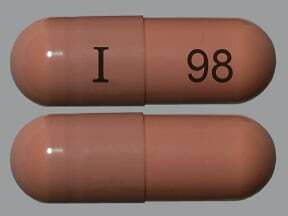 This medicine is a pink, oblong, capsule imprinted with "I" and "98". 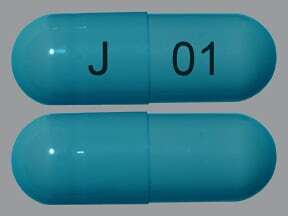 This medicine is a light blue, oblong, capsule imprinted with "J" and "01". This medicine is a purple, oblong, capsule imprinted with "J" and "02". 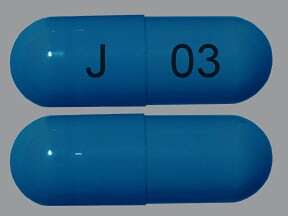 This medicine is a dark blue, oblong, capsule imprinted with "J" and "03". 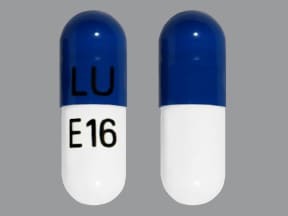 This medicine is a dark blue white, oblong, capsule imprinted with "LU" and "E16". 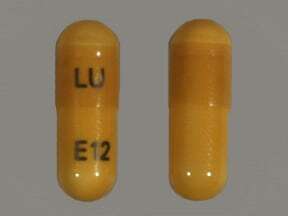 This medicine is a light brown, oblong, capsule imprinted with "LU" and "E12". 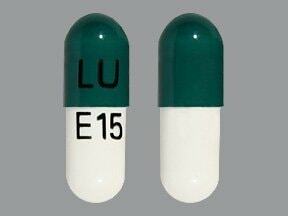 This medicine is a white dark green, oblong, capsule imprinted with "LU" and "E15". 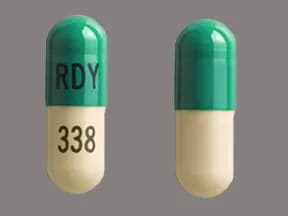 This medicine is a ivory bluish-green, oblong, capsule imprinted with "RDY" and "338". 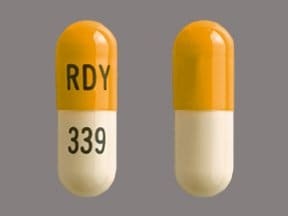 This medicine is a ivory yellow, oblong, capsule imprinted with "RDY" and "339". 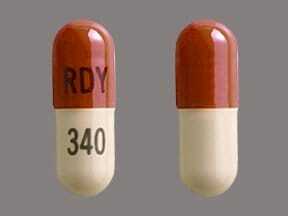 This medicine is a ivory orange, oblong, capsule imprinted with "RDY" and "340". 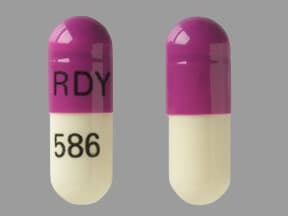 This medicine is a ivory purple, oblong, capsule imprinted with "RDY" and "586". 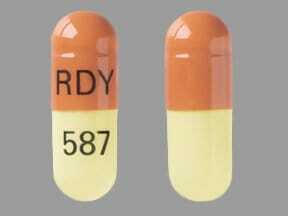 This medicine is a ivory dark brown, oblong, capsule imprinted with "RDY" and "587". 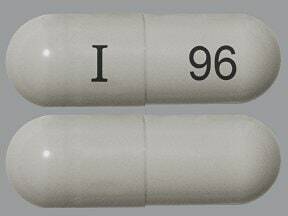 This medicine is a white, oblong, capsule imprinted with "I" and "96". This medicine is a purple, oblong, capsule imprinted with "LU" and "E14". 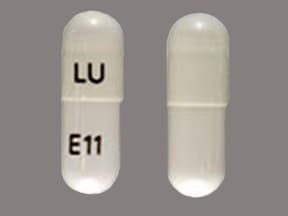 This medicine is a white, oblong, capsule imprinted with "LU" and "E11". 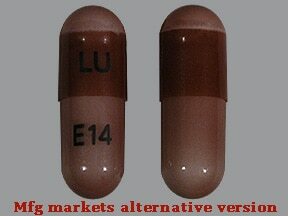 This medicine is a brown, oblong, capsule imprinted with "LU" and "E14". Are you taking AMLODIPINE BESYLATE-BENAZEPRIL? Are you considering switching to AMLODIPINE BESYLATE-BENAZEPRIL? How long have you been taking AMLODIPINE BESYLATE-BENAZEPRIL?